Looking for a break from this summer’s blockbuster action flicks and rom-coms? Theaters in D.C. and Silver Spring will host the AFI DOCS documentary film festival this June 17-21. With more than 80 films from 25 countries, AFI DOCS (formerly known as Silverdocs) provides a break from the summer heat and an opportunity to take in a variety of films, including four world premieres. 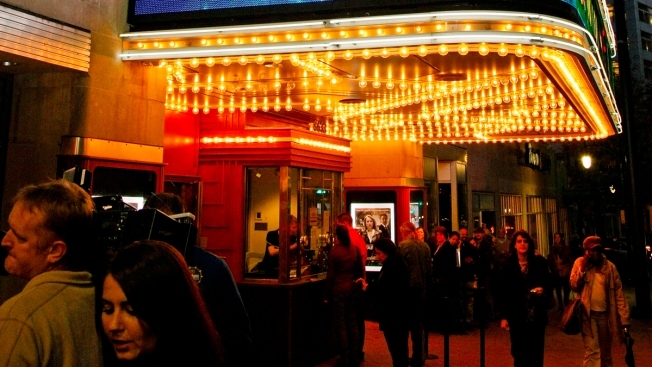 Festival-goers can enjoy films shown in seven landmark venues, including, of course, the AFI Silver Theatre (8633 Colesville Road, Silver Spring). The National Archives and the National Portrait Gallery will host filmgoers as well. Highlights include the opening night film, "Best of Enemies," a timely look into the roots of political pundit media from its earliest stages with Gore Vidal and William F. Buckley, Jr. "Steve Jobs: The Man in the Machine," from Academy Award-winning director Alex Gibney, gives what The Verge calls an "unforgiving" look into Jobs' influence on the Silicon Valley. "Salam Neighbor" explores the complex lives of Syrian refugees living in Jordan. The screening will be on June 20, World Refugee Day. An outdoor screening of "Ride, Rise, Roar" will be shown free to the public at Silver Spring’s Fountain Plaza (923 Ellsworth Drive) June 19 at 9 p.m. Indulge in some shopping or grab a meal in downtown Silver Spring before the show. AFI DOCS will also present the Charles Guggenheim Symposium on June 19 to honor Stanley Nelson. Dedicated to African American film-making, Nelson has been honored at the Sundance Film Festival and won both Peabody and Emmy awards for his work. Previous honorees include Spike Lee and Martin Scorcese. Find a complete schedule of the festival here. Advance tickets are available now on AFI's website. The AFI Silver Theatre Box Office and the AT&T Box Office in Penn Quarter (421 7th St. NW) will sell tickets in person during the festival. Ticketed screenings cost $10 for matinees and $12 for weekend and evening shows. Passes are available and include unlimited access to films.